There's an emerging cluster of digital media projects at the Apache Software Foundation. 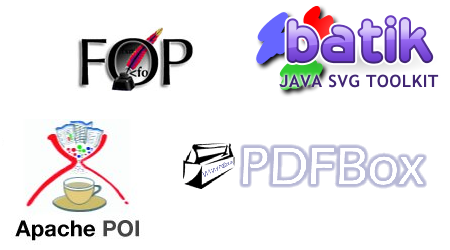 The Tika and Sanselan projects are currently incubating, and PDFBox is likely to soon follow the example. Together with existing projects like Batik, FOP, POI and the many HTML generators at Apache they form a nice set of tools for consuming, manipulating, and producing various types of digital media.